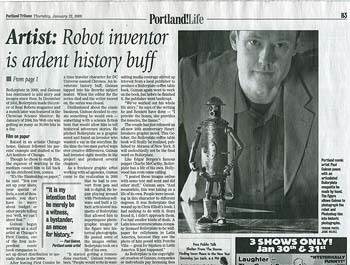 Above: Boilerplate's head on the masthead of the Portland Tribune's front page. 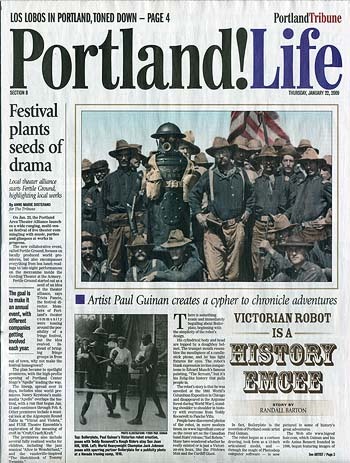 Left: The cover of the Life section, containing the two-page feature article on Paul Guinan and Boilerplate. 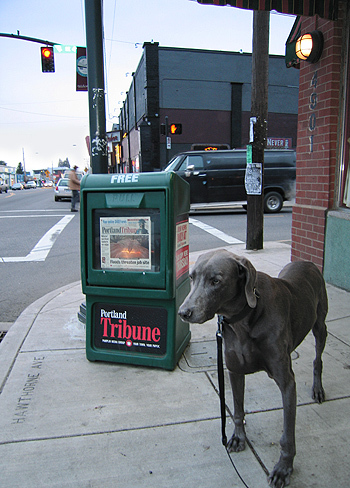 Below: Sisko guards a Tribune newspaper box. 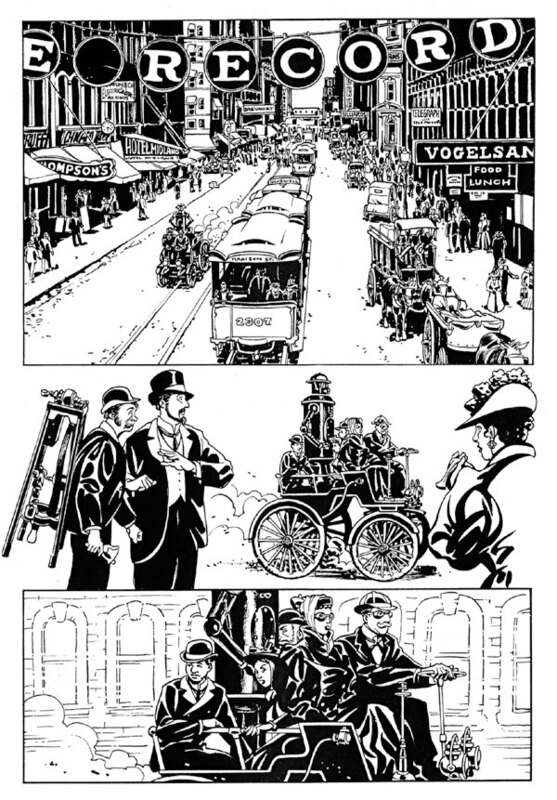 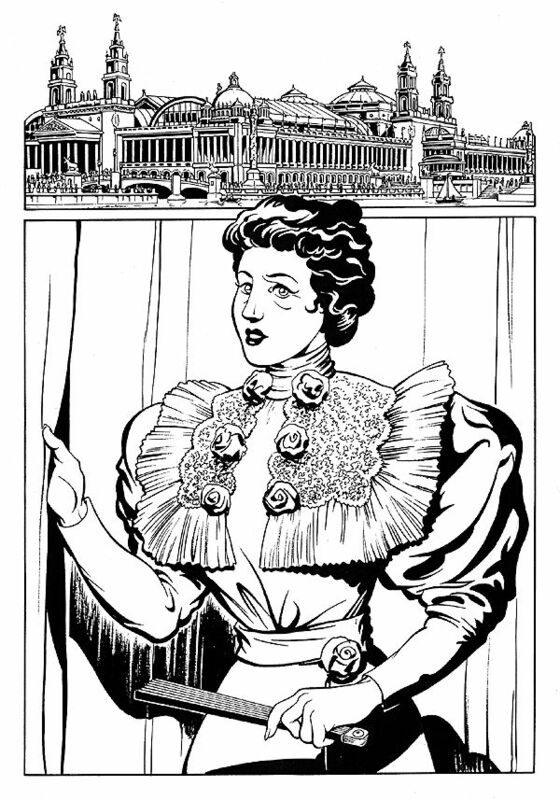 Boilerplate can be seen on the cover of the newspaper.